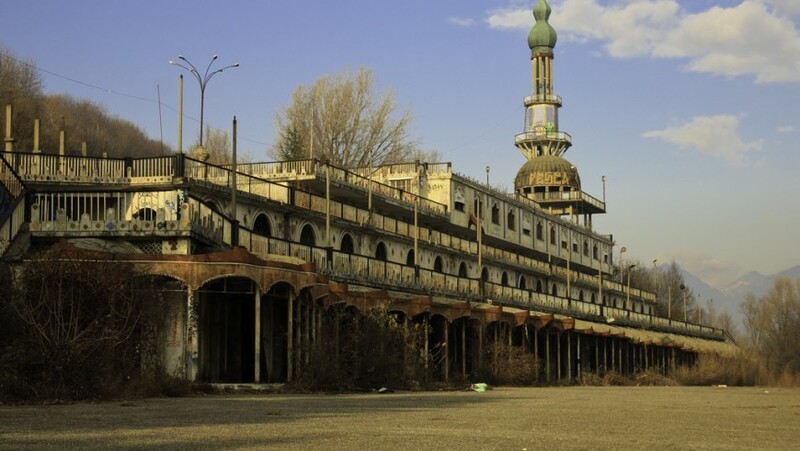 Italian Ghost Towns. A new way of tourism? In Italy there are a lots of abandoned villages, each of them has a incredible story and a unique charm. This Ghost Towns are places where everything seem to be stopped and they can make us travel magically inside the time. Could be a new form of tourism? 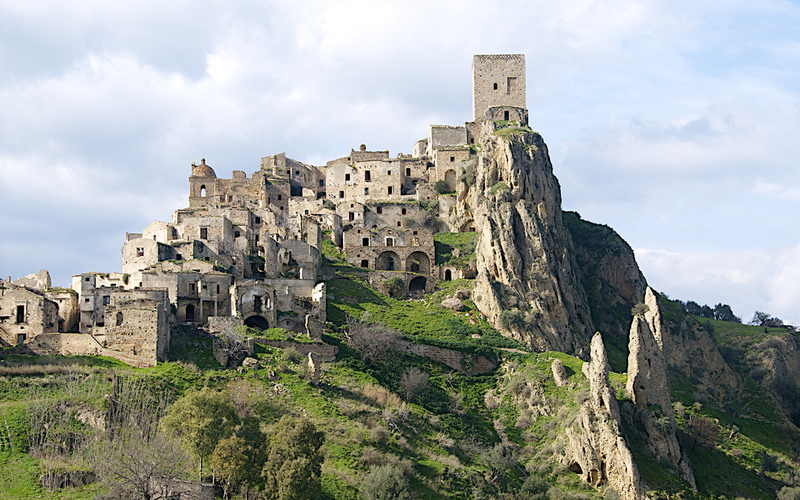 Let’s discover the Top 6 Ghost Towns in Italy. It’s called the “ghost city” and really it is. 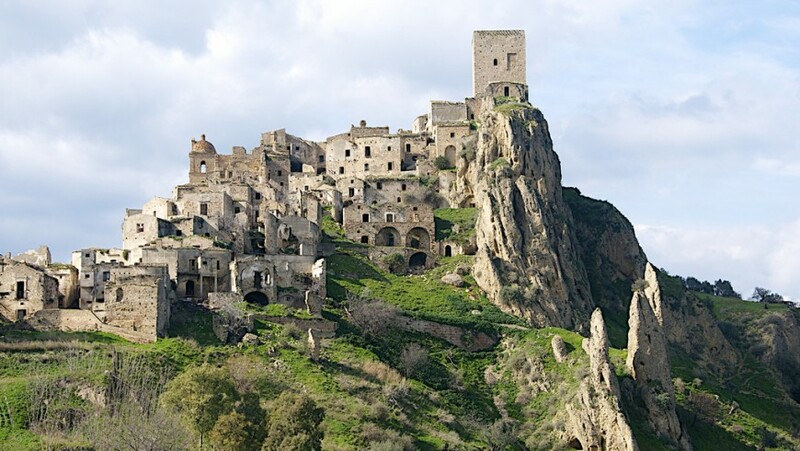 The old houses of the village of Craco, located at the top of a mountain in the district of Matera, were left after a landslide and the habitants move to the valley. The ruins of the ancient architectures, surrounded from a silence and motionless landscape, interrupted just from the birds flight, make Craco as a surreal and fascinating place. Not by chance it was a cinematographic set of several films: “Cristo si e`fermato a Eboli”, “Basilicata coast to coast”, “La passione di Cristo” of Mel Gibson and lots more. Nowadays you can visit the village pass through some small street make safe with a guide tour organized from the City Hall. 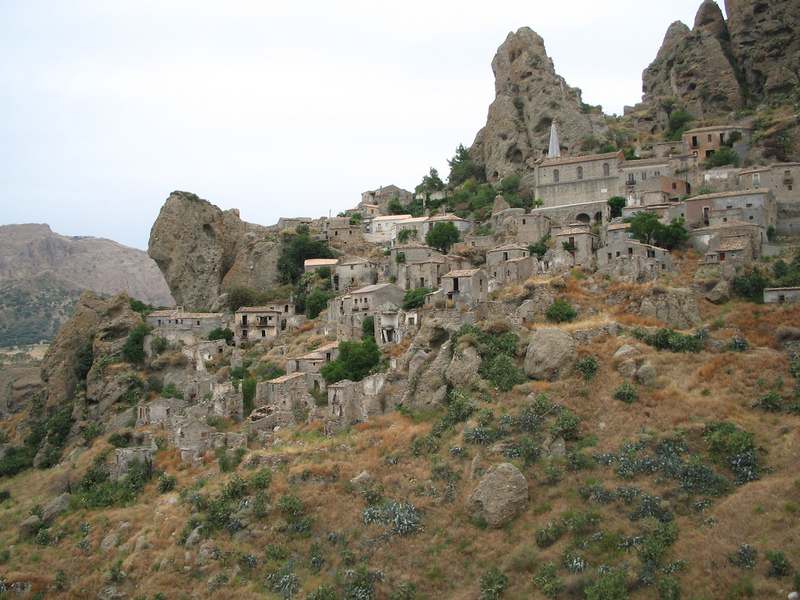 This beautiful ghost village is just at the top of the Monte Calvario, which shape remind a huge hand with five fingers, from here the name of the place (Penta+Daktilos= five fingers). 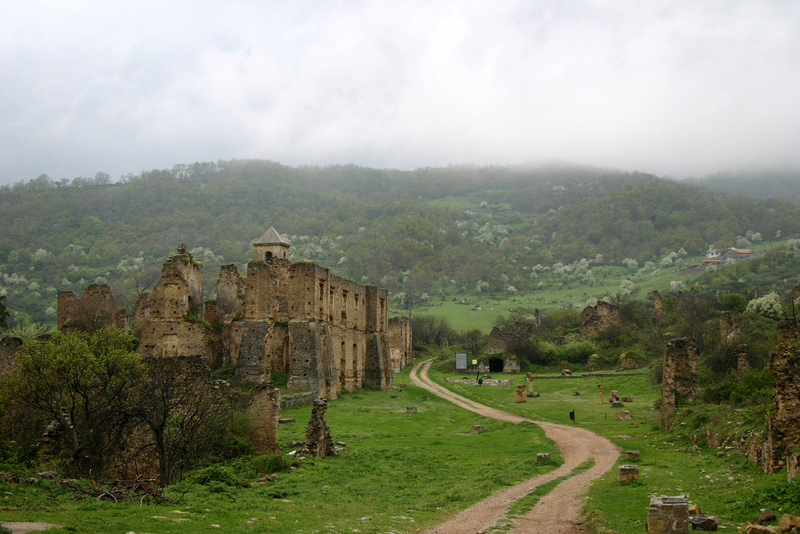 Until few years ago this old village, fascinating and full of mystery, were completed abandoned. In fact the population moves to the valley, built a new village from where admire the old ghost village. Only recently few small local craft activities, a restaurant and some small shops gave back life to the old village. Every summer Pentadattilo is a fixed stage of the traveling festival Paleriza, important international event of the Calabria culture, and of Pentadattilo Film Festival, international festival of short movies. 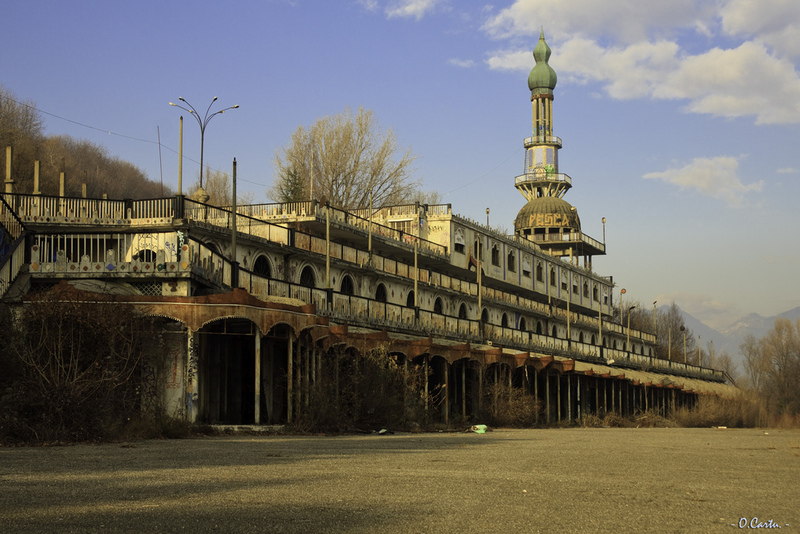 Consonno was a small and quite town in the district of Lecco until when, in the 60s a building contractor unscrupulous, Count Mario Bagno, bought all its territories and transform it in a city entertainment, a kind of “Italian Las Vegas”. But differently from the real Las Vegas, built on nothing, in the middle of the desert, a Consonno was destroyed the ancient village to make space for the new extravagant buildings. During few decades this foolish plan failed and Consonno has remained as a picturesque ghost city of toys, with his own history web site. Close to Potenza, Campomaggiore Vecchia, called also “city of utopia” for his livability, remained uninhabited due to an earthquake at the end of the nineteenth century that forced the residents to move to the mount. The architect that project Campomaggiore Vecchia, in the late eighteenth century, Giovanni Patturelli, followed the utopian theories of Robert Owen and Charles Fourier. The village, designed for only 1600 people, was made of houses arranged in a checkerboard where each of them own a piece of land to cultivated, olive trees and a vineyard. 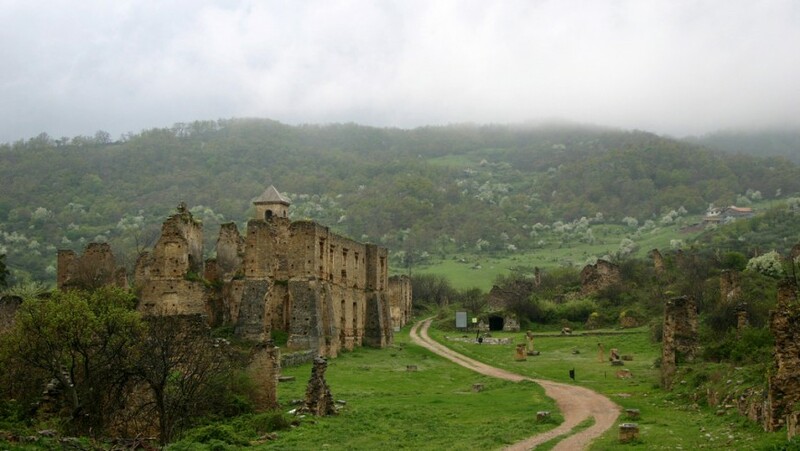 In the center of the village there were a big square with a church and a Lord Palace, of which remained the ruins. 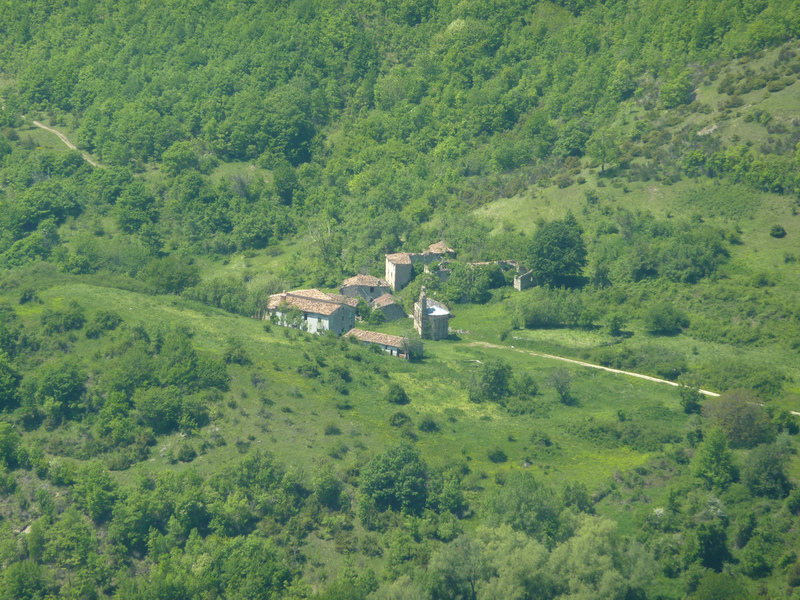 Close to Teramo, Valle di Piola is an ancient medieval village in the heart of the Parco Gran Sasso and of Monti della Laga, uninhabited from 1977, when also the last family move away. 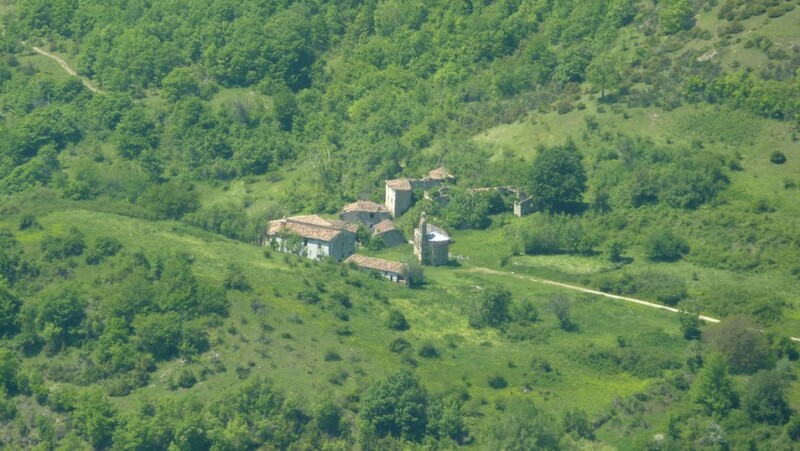 The stone houses are surrounded just by wild nature. There is just one white way that bring to Valle di Piola (Via della Fauna), which became paved trail inside the village and continues as mule-trail. Some building have the characterized balcony in wood with shed, called “gafi” (in dialect “lu gafie”). Since few years this medieval village is put up for sale (just for 144€ at the square meter) because the owner and the public institutions have no resources to recover this valuable historical asset. 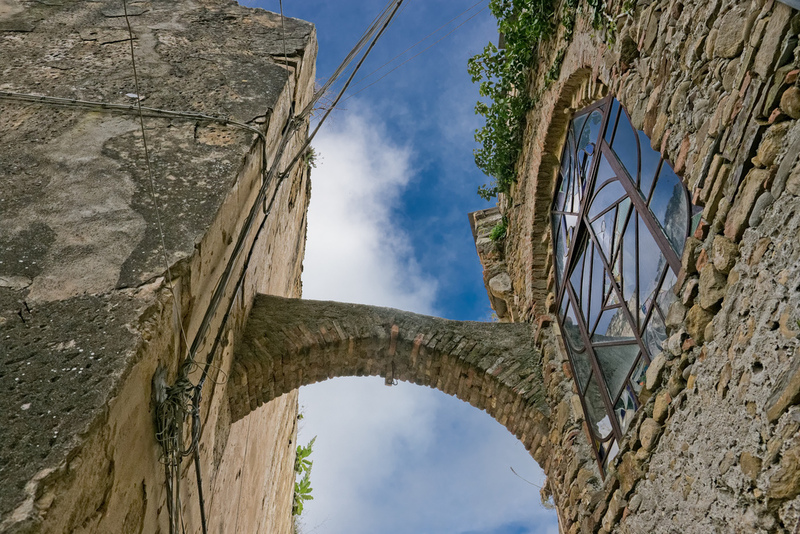 The ancient medieval village of Bussana Vecchia, close to Sanremo, was abandoned from his habitants following an earthquake at the and of nineteenth century. But, in these last 50 years, his fascination as abandoned place has prompted many artists to give it back life. Everything began in the earliest 60s, when the painters Clizia and Vanni Giuffrè had the idea to create the International Community of Artists, where painters, sculptures, musicians, writers and poets could live dedicated himself entirely to their arts. 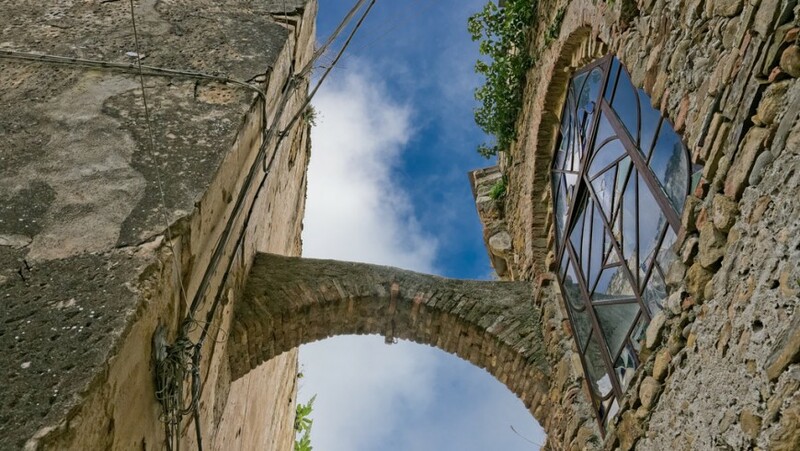 They were joined from a thirty others artists from Italy and Europe, thus saving the buildings from degradation and abandonment, but at the same time respecting the structure of the medieval village and the buildings like the earthquake leave it. Nowadays the village is full of artistic shops an every single house, square, street and fountain is a real work of art! The village is visitable just by foot, parking the car at the entrance of the town. 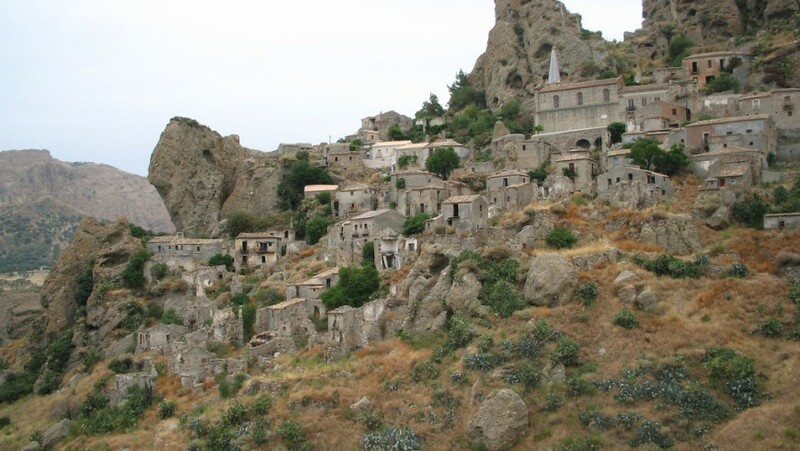 This entry was posted in curiosity and tagged abandoned villages, Abruzzo, Basilicata, Calabria, Craco, Ghost Town, ghosttown, history, Liguria, responsible travel, Secret places. Bookmark the permalink.